Relax into sensual pleasure with JO All-in-One Massage Glide. 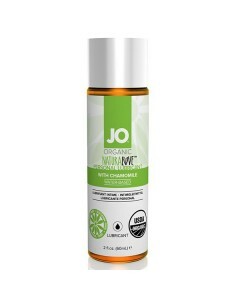 This moisturizing glide enhances any massage without feeling greasy or oily. 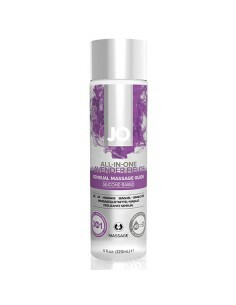 When the situation becomes more intimate, JO All-in-One Massage Glide can also be used as a personal lubricant. 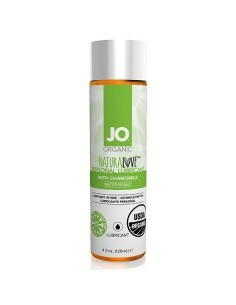 JO Agape is specially formulated for women and was created to be the perfect sensual solution for women with sensitivities. 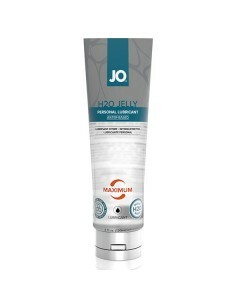 Introducing JO Premium Jelly, an all new silicone-based personal lubricant collection. Our top selling JO Premium silicone lubricant is made with the finest quality pharmaceutical grade silicone on the market. JO Volt is a safe, all-natural clitoral enhancement gel that tingles on contact to increase sensation and enhance her satisfaction. Reinvigorate your routine with this his and hers kit that’s perfect for couples. 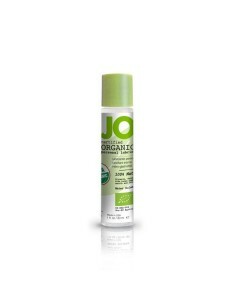 JO Hybrid Lubricant delivers the world class, long lasting glide of JO Premium Silicone with the convenient cleanup of JO H2O Water Based. Enhance your sensual comfort with this pure, long lasting glide that’s never sticky or tacky.